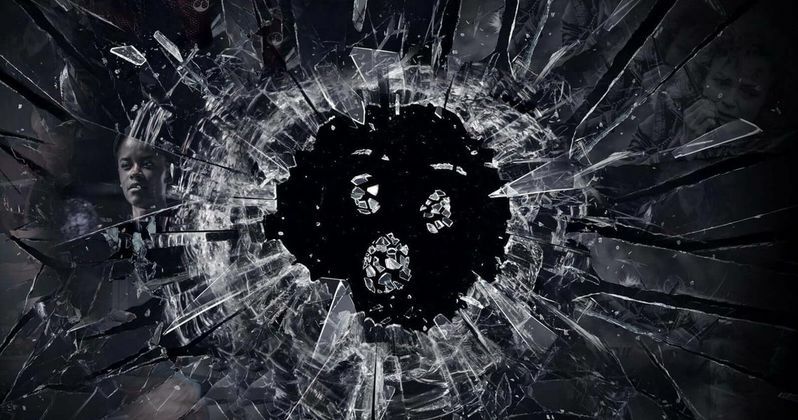 Netflix's Black Mirror Season 5 is coming a lot sooner than expected and it will include a choose-your-own-adventure episode, where viewers will be able to choose from multiple endings. The streaming platform has experimented with the interactive format with its children's programming, and is looking to expand upon that idea. Black Mirror lends itself to that type of idea really well, so it will be very interesting to see how they pull it off. No further details about the episode have been revealed at this time. While the choose-your-own-adventure Black Mirror episode is exciting news, the premiere date is even more exciting. The show began production in the spring of this year, which led to speculation that Season 5 wouldn't premiere until sometime in 2020. However, the popular anthology series will be back before the end of the year, though an official date has not been announced by Netflix. Season 4 premiered at the very end of last year, on December 29th, which means that Season 5 could follow suit. In addition to the interactive episode of Black Mirror, Netflix is also developing other original projects based around that idea as well. The interactive aspect won't be exclusive to endings. Netflix plans on having shows and movies that have interactive storylines that viewers will be able to control throughout the duration of the project. The original lineup of interactive programing on the platform was announced in June of this year and included the children's programing titles, Puss in Book: Trapped in an Epic Tale, Buddy Thunderstruck: The Maybe Pile, and Stretch Armstrong: The Breakout. The interactive children's programming was rolled out to test the waters for adults, according to Netflix Chief Content Officer Ted Sarandos. It appears that the rollout was a success since they're moving forward with more mature original content. It seems that Black Mirror will be the guinea pig for the new addition to the service, and then more titles are expected to come out later next year. Will adult viewers be ready to indulge in the choose-your-own-adventure storylines, or will they choose to watch what is given to them without participation? That will be the real test, but for now it certainly seems like a good idea, especially when watching with a large group of people. The interactive approach will bring a new type of immersion to the Netflix original content. Other details surrounding Season 5 of Black Mirror are being kept under wraps, though it is believed that one episode takes place in 1980s England. At this point, it doesn't really matter since fans are more than likely excited that the show is coming back sooner than later. With that being said, Netflix will probably start the promotional campaign for Season 5 in the next month, preparing fans for the unique interactive episode. The Black Mirror Season 5 news along with the interactive Netflix news comes to us via Bloomberg.